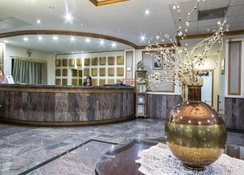 The Canifor Hotel is a 3-star family-friendly hotel located in central Buggiba, 150m from Qawra's rocky beaches and seaside promenade. Boasting indoor and outdoor swimming pools, a hot tub and a sun terrace the hotel welcomes fun-seeking guests to relax amidst its modern amenities and warm hospitality. 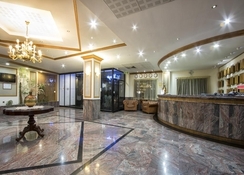 Featuring an impressive reception foyer, the hotel pampers guests with a pizzeria, restaurant, and a lounge bar which has lively entertainment on select days and a big screen telecasting sports. The well-appointed guestrooms invite guests to relax after a busy day equipped with air-conditioning, en suite bathroom, direct dialling telephone, Wi-Fi (chargeable) satellite TV, radio, safe and mini cooler. It also has 24-hour reception car hire, taxi service and airport transfers. 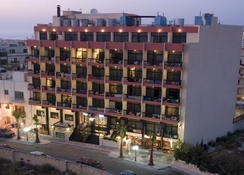 The hotel is located in the busy tourist district of central Buggiba, 150m from Qawra's rocky beaches and seaside promenade. Distance to St. Paul's Islands from the property is 10.7km. The Mosta Dome is 7.2km while the Ghadira Bay is 12km off. The nearest airfield is, Malta International Airport at 21km. There are 172 well-appointed non-smoking rooms at The Canifor Hotel are luxurious, comfortable and spacious. All the guestrooms come with air-conditioning, direct dialling telephone, Wi-Fi (chargeable), satellite TV, radio, mini cooler and bathroom en-suite. 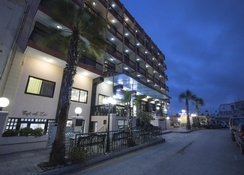 Guests can expect high level of personalised service at The Canifor Hotel. Guests enjoy a hearty buffet full English breakfast as well as juices, cereals, cold cuts, pastries and different kinds of local bread. The main restaurant at The Canifor Hotel serves breakfast, lunch and dinner. Special meals for people can be requested with special dietary requirements such as gluten free, sugar free and vegetarian. Packed lunches can be provided. The hotel also has an on-site coffee shop. The hotel has two swimming pools (one indoor) and terrace where guests can soak up the sun. There’s a fully equipped gym hot tub and sauna too. There are vending machines for snacks and drinks onsite. There are lively entertainment shows organised by the hotel. Guests may read in the library, browse the net with Wi-Fi or sip a brew at the coffee shop. Very calm area, with not many attractions, however it was lovely to walk around and to just relax, watch the sea etc. 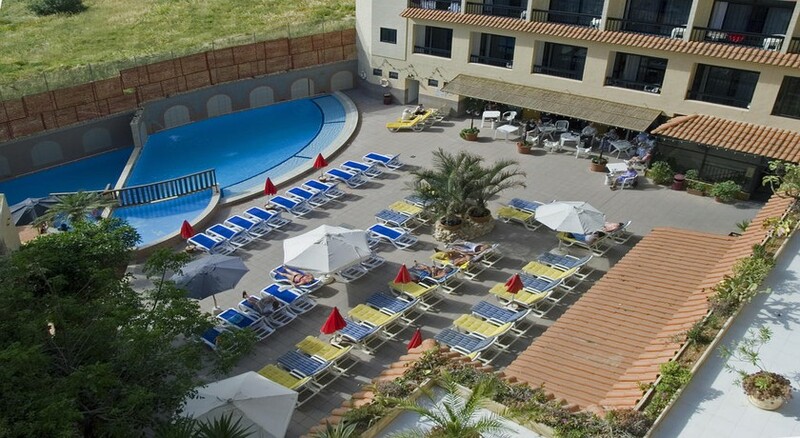 The hotel was great with swimming pool facilities open from around 8 in the morning until 6 in the evening. The food was normal English dining but the quality of it was fantastic. Would definitely go again. The rooms have balconies, so great to just sit and enjoy the sun. We had a fantastic stay at the canifor staff were polite helpful and very welcoming, rooms were very clean only a personal thing but would have been spot on if there had been a kettle in the room. Food was great and the cheesecake was to die for I had 3 slices 🙈🙊 lol we will definitely be returning. We had a great laugh only thing stopping me giving it a 5 star was the night time entertainment or lack off. The Staff very Helpfull and Cleaners food lovely the entertaiment all Perfect. I read the reviews before we went on holiday and there were a lot of negative reviews. I can't understand why? It is what it is and what it is is great value for money! 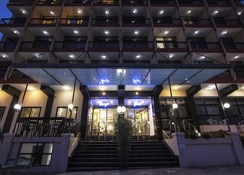 Great hotel,lovely location,food excellent as were the staff. After booking this hotel and then reading reviews, we were concerned about what we may find. However we were pleasantly surprised as the hotel was clean and well maintained. It was a good 3 star standard rather than the4 star listed. Most staff were pleasant and helpful. Food was good. Good location and nearby local transport to get around the island. Not much entertainment, would suit older travellers. We found the Canifor to be clean and tidy, food was good and staff pleasant except the bar staff in the pool bar who appeared to be overworked and therefor not as pleasant as you would want while on holiday.